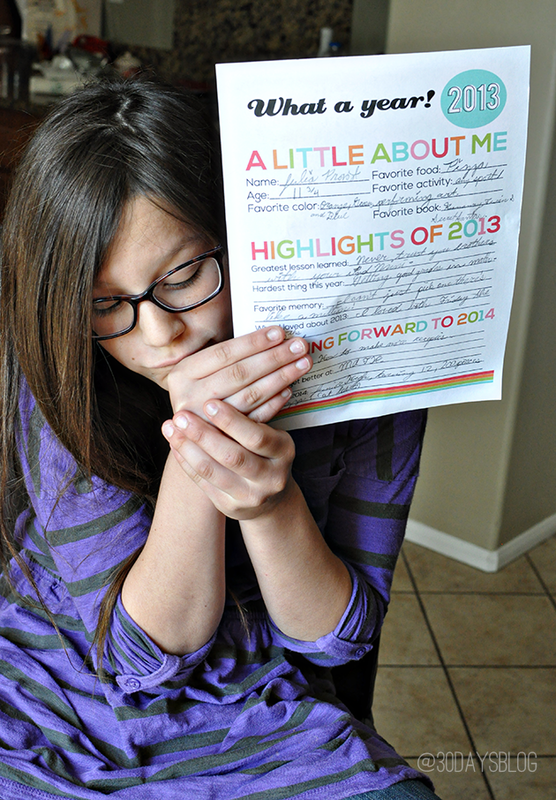 Over the past few years I’ve posted New Year’s Resolutions for Kids (and adults… more on that soon). Normally I wait until after Christmas has passed. But I’ve had lots of people comment and email to ask when my update would be available. I’m here to serve the people. So I give you this year’s version! This year I’ve made several bright designs and this one is no different. I can’t stay away from clean fonts and cheerful colors! I hope you like how it turned out. Every year I laugh at what my kids write down. Some things are sweet and some are so random. Julia’s goal for 2014? Eat at least 200 pieces of pizza. Hmmm…. I bet we’ll get her close by the end of the year! This pretty much sums up how excited she was to have me take her picture….ahhh to be almost 12 again. At least she’s cute! Note: The printable itself doesn’t have a watermark on it. Here is the updated 2014-2015 version! I’ll have a few more NYE posts as well. It’s time to ring in 2014! 2013 has been rough for me so I’m more than ready to move on. 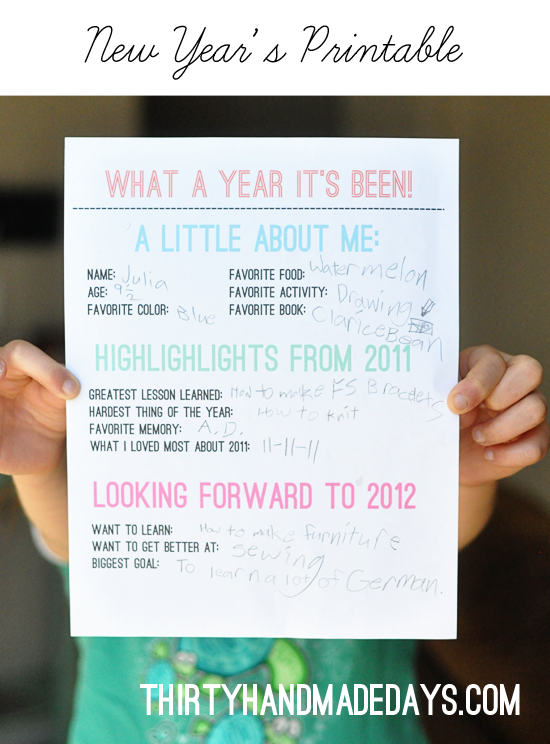 I love looking back to see what my kids put on their resolutions. 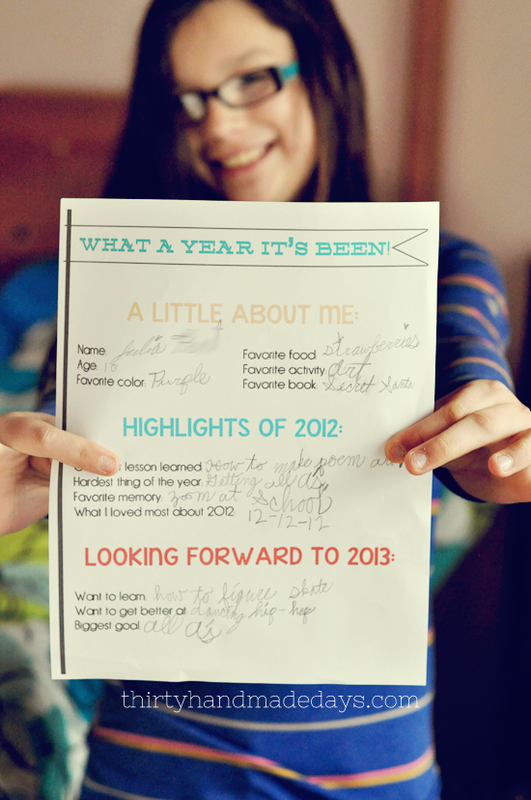 I also love reading their favorite memories for the year and what their goals are for the following year. It’s so much fun! They’ve grown so much in such a short amount of time. 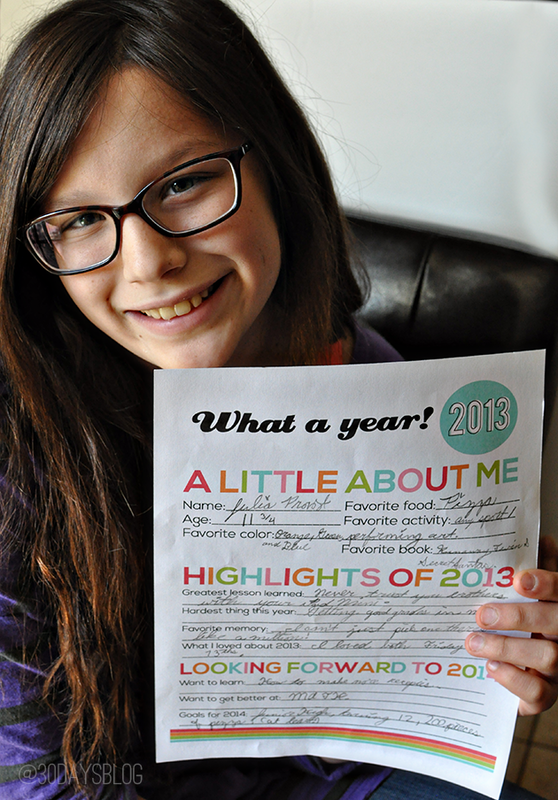 Do you do New Year’s Resolutions with your kids? Or write down goals? Thank you so much for sharing this cute printable. I printed off three. My husband, son, and I sat down this afternoon and each filled one out. 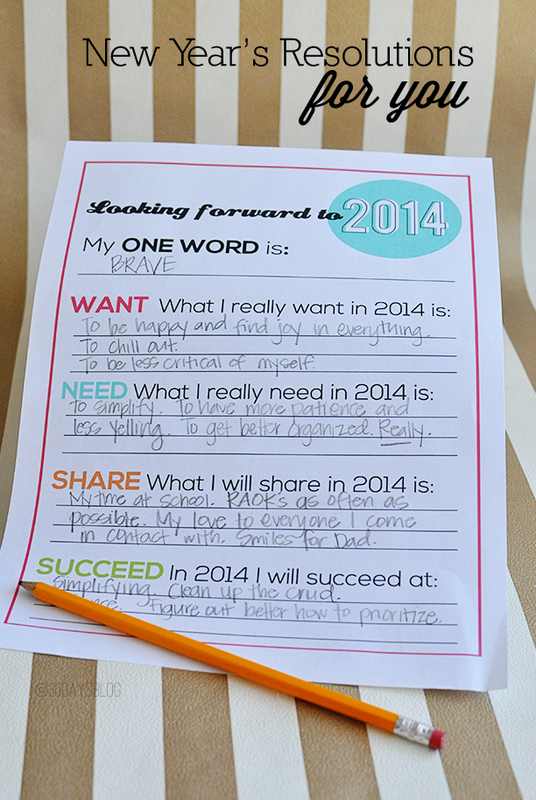 It was really neat to sit down as a family to discuss our 2014 goals using your printable. This is an awesome idea! I cant wait to see what my kids write down! Your daughters pizza idea sounds great, I love pizza!! Love these – so cute! I had all my children and our house guests’ children over the age of 5 fill them out this morning. Picture boys and girls, ages 5 through 8, sitting around the table, heads down, really concentrating on their writing. Occasionally there was spelling and reading help offered among themselves. It was a precious and surprisingly quiet activity. Great tradition to start. Thanks for sharing this! We have done it in the past with our kids and I enjoy being able to look back and see what they wrote before. Also wanted to add my thanks. I used one of yours for my son last year, and I’m so glad you made another so we can make it a tradition! I’m also going to use one of the grown-up ones for myself. Thanks for so generously sharing your talent and creativity. Thank you!!! I wanted to do something like this for my daughter and I and came across your post randomly via pinterest (of course! Doesnt everything come via pinterest any more? lol)!!! Thank you so much for creating this, its exactly what I was thinking of doing but without having to do it! Can’t wait to do this together! Many blessings for a wonderful New Years!!! Mique, love this! When my son is old enough I’m so going to do this, right now we are just working on saying words. :) hehe… Pinning this for later! 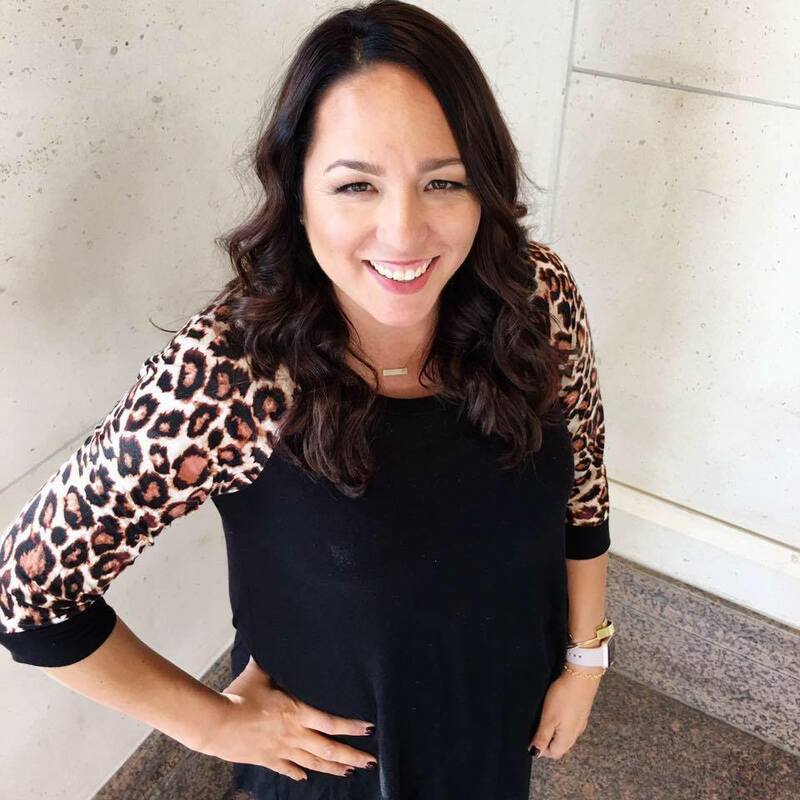 Thanks for sharing at Show Stopper Saturday! Thanks! I love this idea. You have totally saved my bacon. I am hosting a last minute New Year’s Eve Party and since we can’t find sitters on such short notice it will include our six children. I am so excited to hear what their highlights were and what they are looking forward to. We are going to use coloring pages and your New Year BINGO. I have everything printed and ready to go. We have included you in our Last Minute New Year’s Party Ideas. 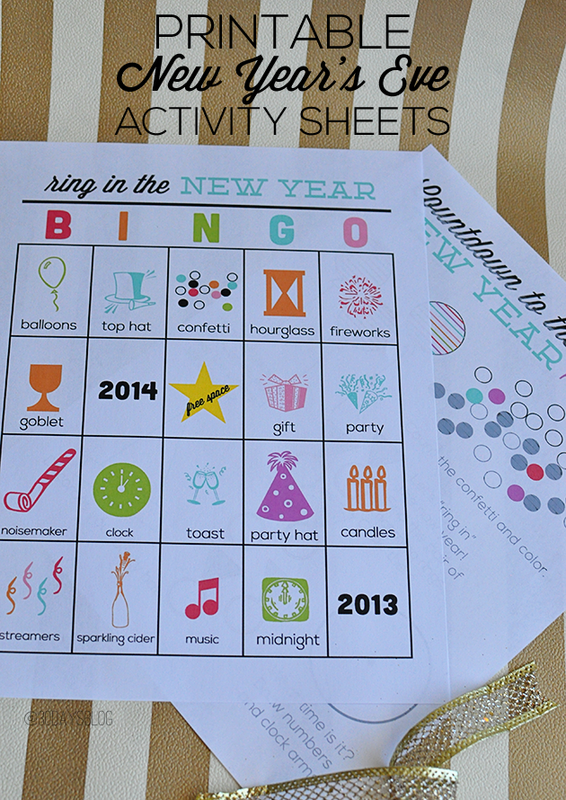 Last Minute New Year Party Printables Thanks for sharing!! Thanks so much! This will be great for our family NYE tonight! Thank you so much! Just printed a copy for my 3 little girls. It’s the perfect length and a great idea. Hope you do them every year. I love these! I will be completing these with my two daughters tonight, thank you! Hello, I am trying to subscribe to your blog in order to get the new year printable for tonight and I cannot figure out how! I’ve tried the feed burner one (which is how I usually subscribe) and it is taking me to a Microsoft Outlook box, which I do not have set up. So frustrating. Can you please help? Thanks! Go ahead and download the printables. ;) Happy New Year! Getting ready for the tonight!! Thanks for all your talent to help the party be amazing!!! I just wanted to say thank you for sharing these. They are great. My daughter is having a small group of girls over for New Years Eve and this will be a cool thing for them to share. I love this idea and the colorful print out is super fun! I see that it is for personal use only, but I was wondering if you would be alright with me distributing them to middle schoolers on the first day back to school. I would love to have them complete them and then display them outside of the guidance office. I’d be happy to send you a picture that you could post on your blog. What do you think? Hi Dawn- I’m not sure if that comment was meant for me ? (I’m Mique :) If it is, you can absolutely use this printable for your students. I’d love that! Thank you. Oops, thanks Mique! I think I was reading another comment and got the names mixed up. Happy New Year! 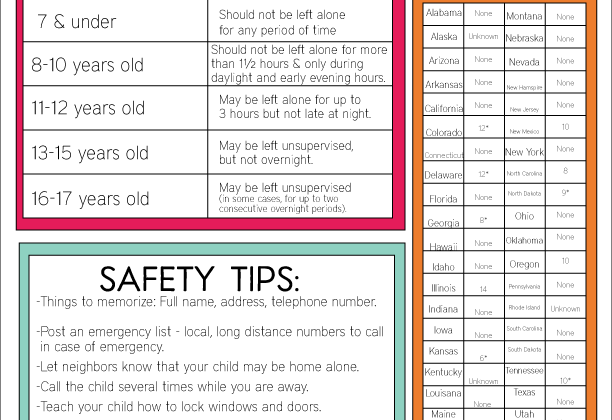 Thanks for this great printable. 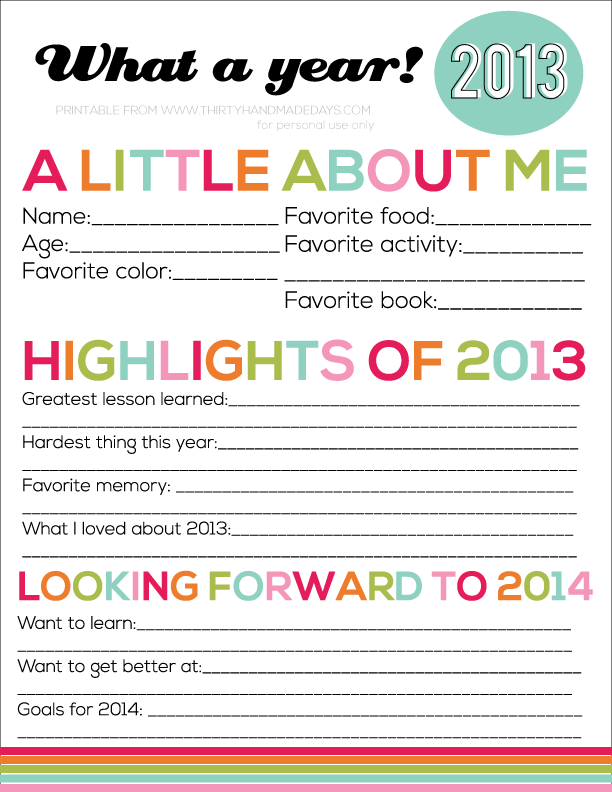 I am looking forward to using this to help my students goal set and reflect on the past year. Pinned and shared with my co-teachers. This is a great idea! I can’t figure out what’s wrong with me but I can’t find the printable for 2014? sorry just figured it out. I thought the kids was the same as the adults! got it! No problem. They are different from each other. ;) Enjoy! I absolutely LOVE this idea! Thanks for making it available to the rest of us!!! I truly love all your printables. I use them all the time and it’s my “go to” place to go when I need something clever and cute! Thanks! How kind of you to share such a nicely designed product! 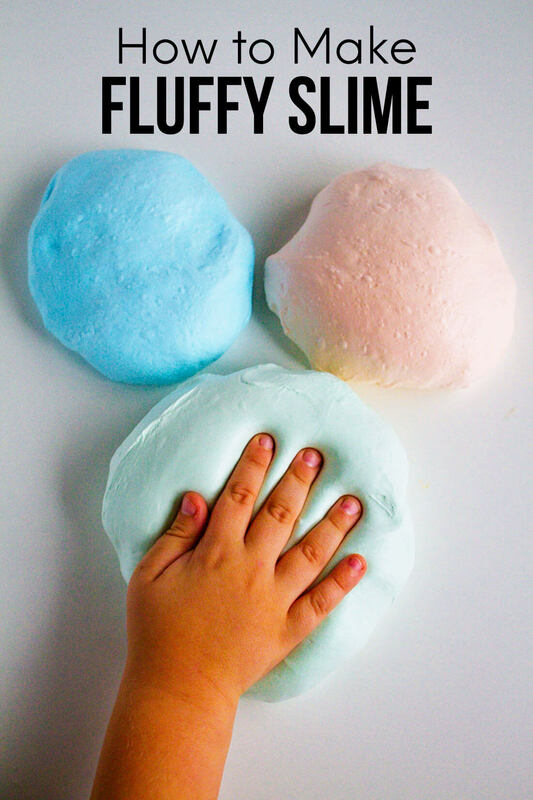 I can’t wait to do this with the kids on New Year’s Eve! So fun to click through on Pinterest and learn this was your creation! Thank you for updating this for the new year! 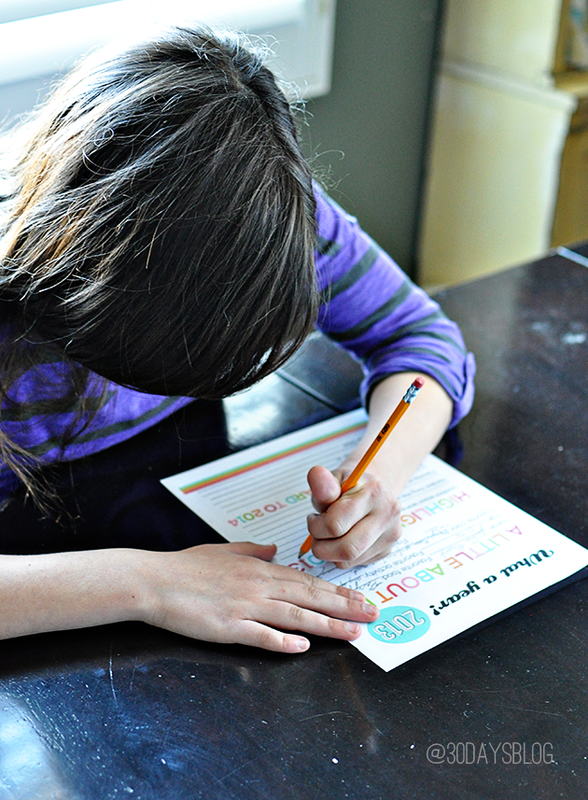 I loved doing this with the kids last year, and it will be fun to have them review what they wrote! Thank you so much. We love this every year. 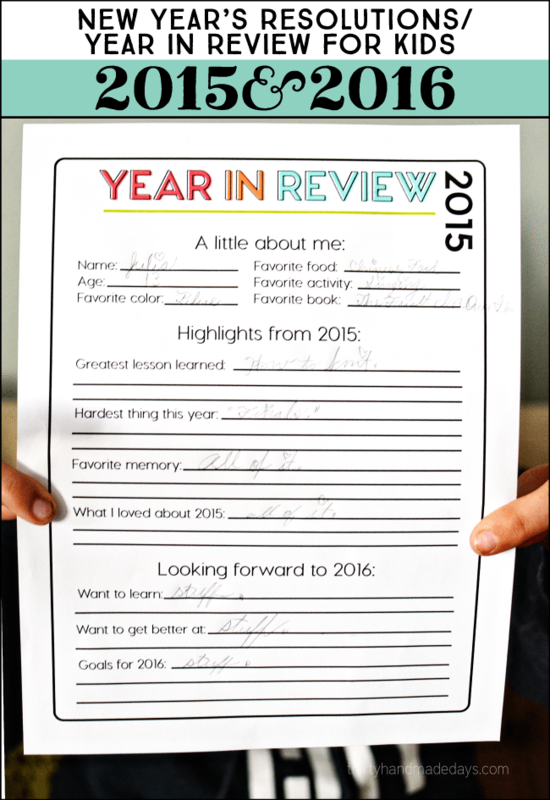 What a great way to reflect on the previous year, and look forward to the next! What an adorable printable! Would be fun for the entire family to do. Thanks for such a sweet printable. I know I’ll enjoy looking back on what my kids said. So nice of you to share your idea with us. This is a great idea, and I love the bright fun colors you used. Thanks for sharing! Thank you. I hadn’t even thought of doing this but I love it! I am printing off enough for my children and my nieces as I type. Merry Christmas and Happy New Year.